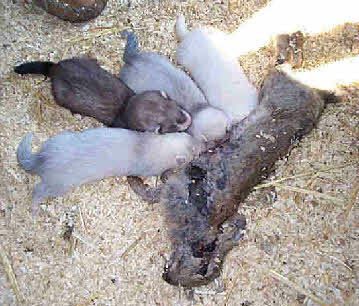 Pictured is the mother of the four kit’s. 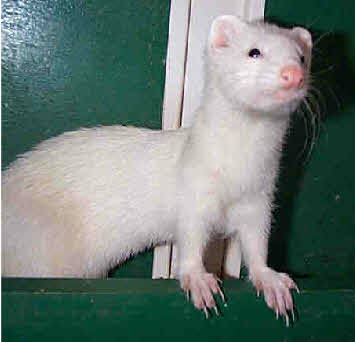 She was one of Fred's working stock and a good mother, as are all ferrets. Kit’s at four-and-a-half weeks old. These four are one week older than the previous picture, it is remarkable the speed at which they grow. Their appetites grow at the same rate. Fred feeds them blended raw egg and milk, and rabbit or tripe.